Happy International Translation Day! 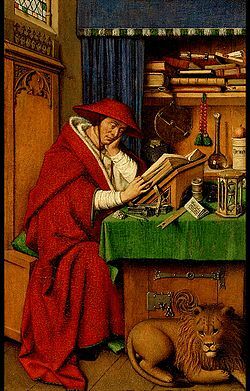 Today, September 30, is the feast day of St. Jerome, the first to translate the Bible into Latin and the patron saint of translation. On this special day, I would like to offer you a special glimpse into the exciting world of genealogical translation. 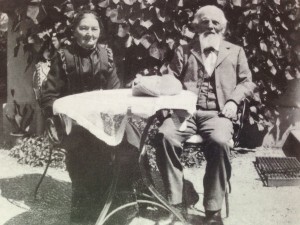 As genealogical documents are often hundreds of years old, translating historical documents is slightly different than translating “normal” documents. While modern-day texts can often present the translator with incredibly complicated sentences, genealogy translations are usually much more straight-forward and relatively simple – once you get the documents to the translation point. Getting there, however, is the challenge. 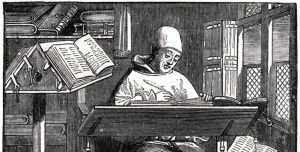 Just as my handwriting differs from yours, handwriting among our ancestors varied significantly, and some was much more legible than others! When I receive a text, therefore, the first thing I do is look at the legibility of that particular author’s handwriting. The age of the document also plays a role in the appearance of the script. Seventeenth-century handwriting (top image below) looks very different than nineteenth-century handwriting (bottom image below). Although the older script is rather beautiful, it is more challenging for most genealogical translators. The quality of your document is also very important in genealogical translation. Most of the texts are sent as .jpeg images, and the ability to zoom in without the image becoming blurry is crucial. Why is that? 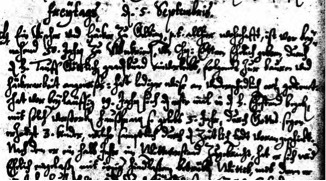 As stated in Ten Tips for Deciphering Old German Handwriting, many old German letters are incredibly similar, making the ability to see each and every stroke even more significant. Notice the similarities of the letter e (left) and the letter n (right) below. Without the proper zooming tools, you may not be able to see the differences between these two letters when written in a word. The word above is “mein” (my), full of similarly-formed letters m, e and n.
Once I’ve assessed the legibility of the script and the quality the document, I begin transcribing your text. Carefully analyzing each stroke, I start to decipher the script and type it in modern German. If I’ve worked with a particular author’s handwriting before, this process goes much more smoothly, as our brains are quick to recognize what they’ve previously encountered. However, if it is the first time I am seeing a certain person’s handwriting, the transcription process can take a little longer, as each person forms their letters slightly differently. The transcription process can also be accelerated if I know certain words to look for. Before beginning each translation, I ask you if there are any names of people or towns that are relevant to your document. Names are the most difficult to transcribe, as there are many spelling variations and no context clues to fill in the blanks. Many times, however, a client has already done extensive genealogical research and knows that this letter is from his great-great grandfather Diocletian from the town of Oberbetschdorf. Rather than spending 15 minutes trying to figure out if a letter is an n or an e, knowing this information ahead of time helps me to spot-read a word (that being said, I always double check – sometimes there are surprises!). 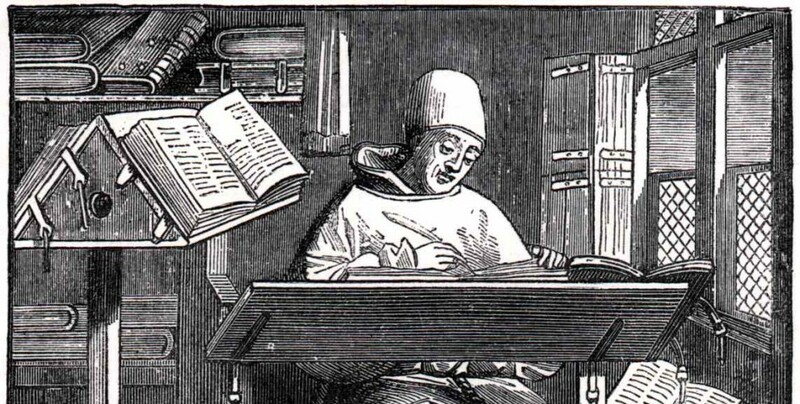 Once the transcription is complete, the fun part begins – bringing the words your ancestor wrote to life! In translation, we need to know much more than simply the definitions of words in a dictionary. Translators must take into account the various shades of meaning of a word (for example, does the author simply mean “happy” or does he mean content, cheerful, delighted, pleased, etc.? ), idiomatic expressions (translating “it’s raining cats and dogs” literally into German would lead to a great deal of confusion in Deutschland) and intended audience and style of the text (is this a casual letter written to a son or daughter or is this a formal certificate recording a life event?). Finally, we need to make sure the text reads well in the translated language. Staying true to the original while making the text flow in a different language can be a challenge in the translation field, although it is a challenge most translators enjoy! While I do not agree with his view of women, poet Yevgeny Yevtushenko’s take on translation is certainly true! With the translation complete, I send it to you, the client. This often results in my favorite part of the job – hearing how this translation has broken down brick walls in your genealogical search or how happy you are to hear the words of your ancestor. I love a good puzzle as much as the next person, and helping you to learn about your ancestor is a rewarding experience that I truly enjoy.